Ordering made Easy with the AcnEase® Replenishment Service. 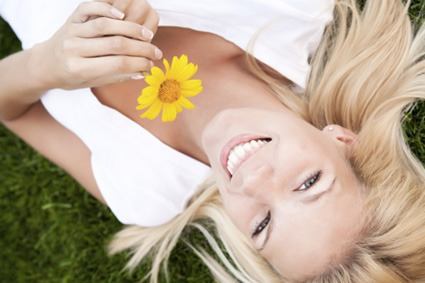 Win One-Month FREE of AcnEase! When you make the commitment to treat your acne, you do not want to slow your progress by having a lapse in treatment. Your have numerous things to remember on a daily basis, and we don't want you to lose the progress you've made by forgetting to re-order your AcnEase. In an effort to assist you with getting the best results with AcnEase, and to avoid forgetting to order on time (enabling a lapse in treatment), we've designed the AcnEase® Replenishment Service. When you place an order for the basic one-month treatment, you will see the Replenishment Service as an option. You can choose to order up to an additional 1, 2, 3, 4, 5 or 6 month supply to avoid ever having a lapse in treatment. The treatment will come to you every month like clock work, and you will only be billed when the treatment ships. Billing: Replenishment billing occurs on the first of the month, which is when your order will be processed and shipped. You will only be charged for the one-month treatment that is shipped to you. Shipping: The replenishment order will be shipped within 48 hours of the 1st of the month. Arrival: The replenishment order will take 3-5 business days (USPS Priority) in the US (7-10 business days international) - you can choose to have the package expedited as well. Regimen Cycle: By receiving an additional treatment in the beginning of each month, you will never run out of AcnEase and never have a lapse in treatment - providing you with the best way to succeed! 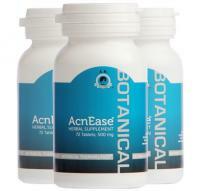 Win a FREE One-Month Supply of AcnEase! Place an order today, and choose the replenishment service for atleast one additional month. Then, submit your personal story about your journey to get rid of your acne by Thursday, May 2, 2013, and tell us why you deserve to win. The story should be a maximum of 200 words, and submitted with the order number on our Facebook page, either on our timeline or via private message. AcnEase will review the submissions, and the most compelling plea will win! In between April 29-May 2 by midnight PST, you have to place an order and purchase an additional month of the replenishment service, and submit a personal story in order to qualify for the offer. Deadline is May 2, 2013, midnight PST. Cannot be combined with other offers. A family member or friend of the acne-sufferer are able to submit the story. Limit one entry per household. and get rid of your acne! Please contact us at anytime with questions.